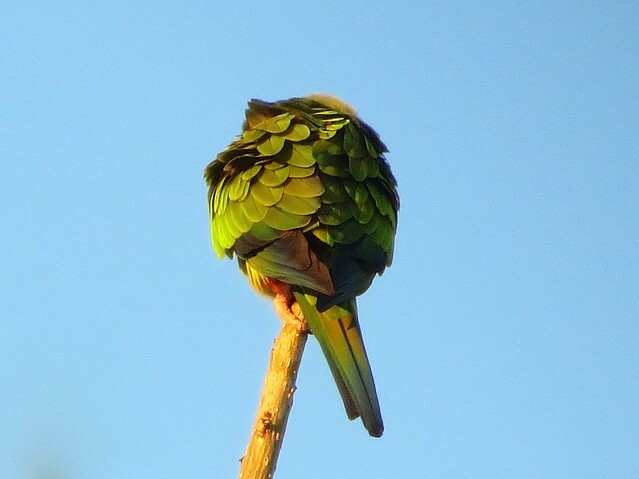 It was chilly that day and the wild parrots were uncharacteristically quiet and still. I love the feathers, fluffed for warmth. Shot on December 14, 2015 on the Pepperdine lawn.